Gus Van Sant's biographical narrative Milk is no longer at the Castro Theatre, which is sure to disappoint a lot of people who didn't get around to seeing it on the most poignant screen in the nation on which to view it. It's still playing at other theatres around the city of course, but it's also worth noting that the terrific documentary on Frisco's first openly-gay supervisor the Times of Harvey Milk is showing at the Little Roxie for the foreseeable future. As for the Castro, it's Sing-a-Long (emphasis on Long) Sound of Music from December 26-30 (by the way, more Julie Andrews song-and-dance in the form of Mary Poppins is at the Paramount in Oakland this Friday and at San Jose's California on Saturday and Sunday), then Singin' in the Rain, a Henry Mancini collection, and a chance to see all four Humphrey Bogart/Lauren Bacall collaborations January 10-11. Be sure to think of Bogie on his 109th birthday tomorrow- more of his films appear at Noir City 7 later in January. SFMoMA is continuing their Saturday afternoon screening series: this Saturday continues their Las Vegas film & video series mentioned here before. Caveh Zadehi's I Don't Hate Las Vegas Anymore plays at 1PM on the 27th, followed by a set of short works by Scott Stark, Catherine Borg and others. Then on January 3rd, early shorts by Chantal Akerman and her feature Je, tu, il, elle launch a two-month focus on the director -- who, I'm embarrassed to admit, I have never seen a single film by -- culminating in two screenings of her most widely heralded film Jeanne Dielman, 23 Quai de Commerce, 1080 Bruxelles on February 26 and 28. The 4-Star Theatre has booked Johnnie To's Sparrow for a week starting Christmas Day- it just placed at #8 on indiewire's critics poll of undistributed films, so take advantage of this extended run while (and where) you can. 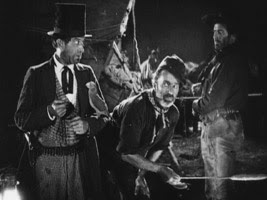 The Niles Essanay Silent Film Museum in Fremont is showing John Ford's Three Bad Men at 7:30 PM on Saturday December 27th. I have not yet seen this film, apparently a favorite of Akira Kurosawa's, but it was remade by Ford in 1948 as Three Godfathers and (loosely) by Japanese animator Satoshi Kon in 2003 as Tokyo Godfathers. Both remakes are Christmas-themed, and I understand the 1926 version showing in Niles is as well, in case that's a draw. [Oops! I had this film confused with an earlier Ford silent Marked Men. 3 Bad Men is not directly connected to 3 Godfathers. It's a splendid entertainment and full of Ford touches though. -Brian, 12-28-2008] It plays with short films the Great Train Robbery and Hal Roach's Shoot Straight. Sunday afternoon December 28th will follow Roach into the talkie era with Laurel & Hardy in Babes in Toyland along with a couple shorts. Two more silent screenings are Grace Cathedral's New Year's presentations of the original Universal Pictures gothic horror clasic the Hunchback of Notre Dame with organ accompaniment by Dorothy Papadakos echoing through the cathedral's huge chamber. It's being billed more as a concert than a film screening, in fact, which seems appropriate. Considering that the film is not known to exist in 35mm prints, I'm sure that the image will be sourced from a DVD, as it was last year when Grace brought Papadakos to play for another Lon Chaney picture the Phantom of the Opera. For a more authentic 1920s-style pairing of silent film print to organ accompaniment, Frisco Bay enthusiasts will have to wait until February 14th, when the Silent Film Festival brings F.W. Murnau's masterpiece Sunrise and Paul Leni's "old dark house" film the Cat and the Canary to the Castro Theatre with the incomparable Dennis James behind the Wurlitzer, as well as two piano-accompanied comedies Our Hospitality and a Kiss From Mary Pickford, each preluded by an Alice Guy Blache short. More on that festival in a later post. More goodies to expect in 2009: the Berlin and Beyond festival of German-language films, amply previewed by Michael Hawley at his new must-feed blog film-415. I'm, as might be predicted, most jazzed up by the revival selections in the festival. Wim Wenders perhaps-greatest film Kings of the Road plays as part of a tribute to the "German New Wave" pioneer; on January 20th he will be on hand to answer questions following a screening of his newest film Palermo Shooting, which I must admit I found too faux-mystical for my liking. But I feel Kings of the Road is a masterpiece, even if one I've still only seen on a crappy PAL transfer videotape. A chance to see it on the giant Castro screen January 18th is extremely tantalizing. 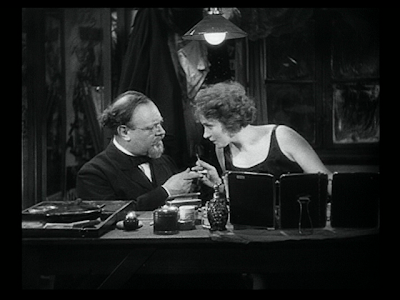 Another exciting archival screening is the film that gave Marlene Dietrich her start and director Josef Von Sternberg his place in all film history books, the Blue Angel. As Lincoln Specter notes, the 1930 film will ironically be screened at Berlin and Beyond in its rarely-projected English-language version, while the more familiar German-language version plays as part of a nearly-comprehensive Sternberg retrospective at the Pacific Film Archive February 1st. I'm so excited by this retro that I must admit I'm unable to concentrate much on the other fine offerings on the next PFA calendar. But there's a lot of choice programming happening there in the second half of January and February, that's for sure. More on that later, too. While we weren’t paying attention, our neighbors to the north were having their own election. And according to the CBC's wonderful culture program Q, hosted by former Moxy Früvous member Jian Ghomeshi, one of the issues concerning this year's election was culture and arts funding. Although actual funding had increased under Stephen Harper’s minority government, as Gemini-winning actress Wendy Crewson said on the September 24th edition of Q, "They have increased funding in bricks and mortar. That is where the money has gone. It has not gone to the artists." Although how much this was an issue of concern for the "Tim Horton’s Crowd" (the Canadian voter equivalent of Joe-Six-Pack and his estranged wife the Soccer Mom), people were out in the streets of Montreal and Québec City even before the election was called to put arts funding on the table. And it makes sense that these two cities in the province of Québec would rally for arts funding, since Québec's French-language films thrive in Québec whereas English-language films can't seem to pull the same percentages in the English-speaking provinces. So those who talk about how Canadian films mostly don't perform will really need to addend themselves. It’s the Anglophonic films that don't perform well. The Francophonic films are doing just fine, merci beau coup. We in the States rarely get the opportunity to see examples from the Québec film industry, which is why San Franciscans can be so grateful to the San Francisco Film Society, with the assistance of the Québec Government Office in Los Angeles, for putting together the Québec Film Week from December 10-14th (yes, it's not technically a 'week') at the Opera Plaza Cinemas. SFFS has programmed an ocular octagon of films from Québec. From the child-like gazes of Anaïs Barbeau-Lavalatte's The Fight (2007) and Léa Pool's Mommy Is at the Hairdresser's (2008) to the dystopian adult skews of Stéphane Lafleur's Continental, a Film Without Guns (2007) and Director Denys Arcand's The Age of Ignorance (2006). Adding to the mix of fiction films is the documentary (narrated for us Anglophones by Canadian Donald Sutherland) The Last Continent (2007), Jean Lemire's adventurous nine-month stint witnessing the slow death of the dead of winter in Antarctica brought about by global warming. Rounding out the contemporary films is the personal demons-facing Borderline, directed by Lyne Chalabois (2007) and the devious documentation of doubt, Missing Victor Pellerin, directed by Sophie Deraspe (2006). Thankfully, SFFS has seen to it that a classic is featured as well, director Claude Jutra's 1971 feature Mon Oncle Antoine. The opening sequence involves the slow development of a snowball fight that appears to involve the entire town. It sits in my mind as one of the most smile-inducing, simple pleasure moments in all of cinema. 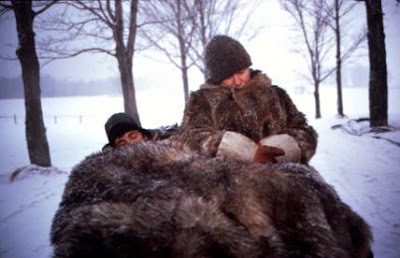 Lensed by a cinematographer featured at the PFA in 2006, Michel Brault, Mon Oncle Antoine is one of many films from the archives of the National Film Board of Canada that demonstrate what great cinema can result from public support of the arts. As for the films I have yet to see, I am most anticipating Denys Arcand's The Age of Ignorance. I have seen four of Arcand's films, including the 2003 Academy Award winning The Barbarian Invasions, the "demonstrably operatic" (Peter Harcourt's words in his contribution to The Cinema of Canada) 1986 film The Decline of the American Empire, the less famous treatise on fame that is 2000's Stardom, and my favorite of Arcand's endeavors, Jesus of Montreal from 1989. (Is it just me, or does the downtown side of the Castro Street MUNI underground station remind you of the Montreal Metro scene near the end of Jesus of Montreal?) With a track record like those four films, I anxiously await The Age of Ignorance with studied reverence for a consistently demanding and intellectually fulfilling filmmaker. In my impatience for San Francisco's Québec film 'week', I might try to distract myself by eating some poutine from Salt House, listening to the Karkwa CD I picked up in Montréal this summer, walking through San Francisco listening to CBC's C’est Le Vie or YouTube-ing Radio Radio video video. (Yes, the latter are not from Québec but Moncton, New Brunswick, but it's still Francophonic even if in their Chiac dialect.) All the more to prepare for what should be a satisfying five days in the intimate venue of Opera Plaza Cinemas.